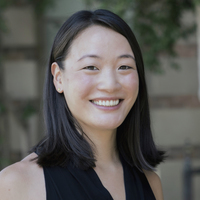 Lillian M. Wohl is the UCLA Lowell Milken Fund for American Jewish Music Post-Doctoral Fellow. She received her Ph.D. in ethnomusicology from the University of Chicago in 2015. Her current book project, From Memory: Music, Temporality, and the Performance of the Past in Jewish Buenos Aires is an ethnographic and historical examination of the sound worlds of Jewish life in Argentina since the 1990s. Her research has been supported by the Chicago Center for Jewish Studies, the Center for Latin American Studies, and the Department of Music at the University of Chicago, as well as the Foundation for Jewish Culture and the Center for Jewish History. 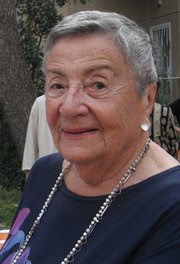 She served as Visiting Assistant Professor at the Debbie Friedman School of Sacred Music, Hebrew Union College-Jewish Institute of Religion (2014–2017), as Executive Director of the Jewish Music Forum (2015–2017), and as co-Chair of the Jewish Music Special Interest Group of the Society for Ethnomusicology (2015–2017). Dr. Wohl is a member of the Advisory Board of the Jewish Studies and Music Study Group of the American Musicological Society and has two essays published in volumes by Brill.